This is Damien, in the kitchen, that will delight your taste buds. Lovers of soils, it is working to offer a generous and kitchen full of flavors that will transport you. Focusing on fresh, local and authentic! 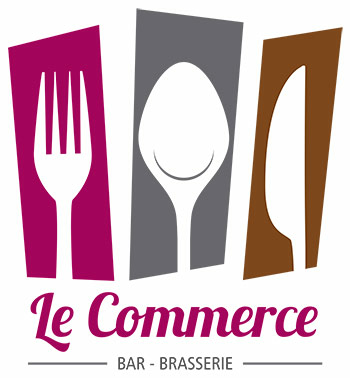 He values ​​the French terroirs and showcases simple and delicious products. The aromas and flavors that you will find at the brewery "Le Commerce" in Salins les Bains, you wake up in memories of childhood, when the dishes of our grandmothers simmering gently. The wine list is not outdone and that also passionate about wines, Aurélie will share their favorites and will be able to suggest the best food and wine. The capacity is 56 seats and a terrace of 28 seats, open depending on the weather from May to September. The privatization of the facility is possible to organize family dinners or birthday in a pleasant and welcoming with the menu neat dishes, generous and tasty! You can avail of menu from 10 people.